and sensate habits through creative expression, narratives and dyads. relaxing our habits and embracing grace. 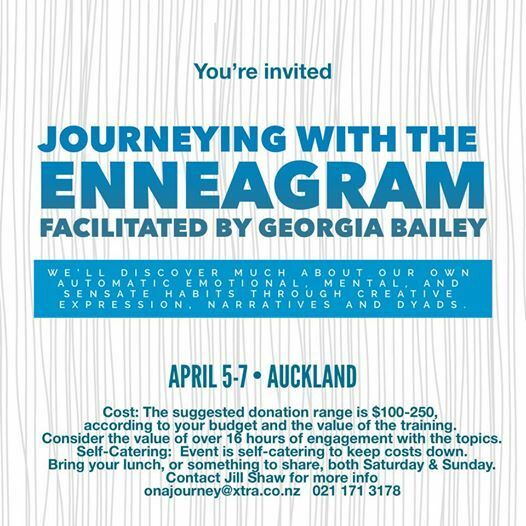 Beginners and veterans of the Enneagram, and everyone in between are welcome! Facilitated by Georgia Bailey of Welcome to the Big House, Noosa, Australia. 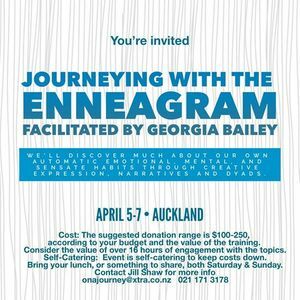 "Knowing about the Enneagram has completely changed the way that I interact with life, and in my relationships. I am always going to be a work in progress. That is the nature of automatic habits. However, the more I become aware of these habits, and find the capacity to relax into a greater reality, the more my heart opens and I can reconnect with my true self." Georgia is a Ph.Dc in Psychology and Spirituality, has a Masters in East West Psychology, and certificates for spiritual directorship, Counselling, The Narrative Enneagram, Sensorimotor Art Therapy, Ka Huna, and Reiki, and runs individual supervision for Enneagram throughout the world. Self-Catering: Event is self-catering to keep other costs down so more can attend, so you’ll need to bring your lunch, or something to share, both Saturday & Sunday. Location: The specific central Auckland venue location will be sent to you when it is confirmed. We hope to reserve a community centre location near the city, but must wait for them to firm up their schedule.